How Do You Measure Quality in a Command Center Console? This time of year, many organizations are planning to remodel, upgrade or build a new command center. If this is happening for you, the amount of decisions you need to make for success of the project can seem enormous. One of the decisions may include new consoles, desks and furniture for the project. Now is the time to go for it! The budget approval for your new consoles may be relatively small as compared to the million dollar or so project at hand, but, how it can help your operator’s daily lives is huge. So, decision time has come, how do you make sure you make the right decision on the consoles you should select? 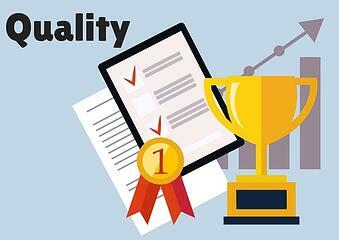 One key factor that should be considered is quality. Let's be honest, every manufacturer is going to say their furniture is "great!" But, how do you measure it? This is the main reason why BIFMA was created. You don’t have to measure it. They do. Looking for a manufacturer that produces a high quality product that has all the BIFMA tests with passing grades can ensure that you are receiving a product that will hold up for many years to come. Ask your manufacturer for their BIFMA certification TODAY!